Looking for ideas on how to update your porch or patio? 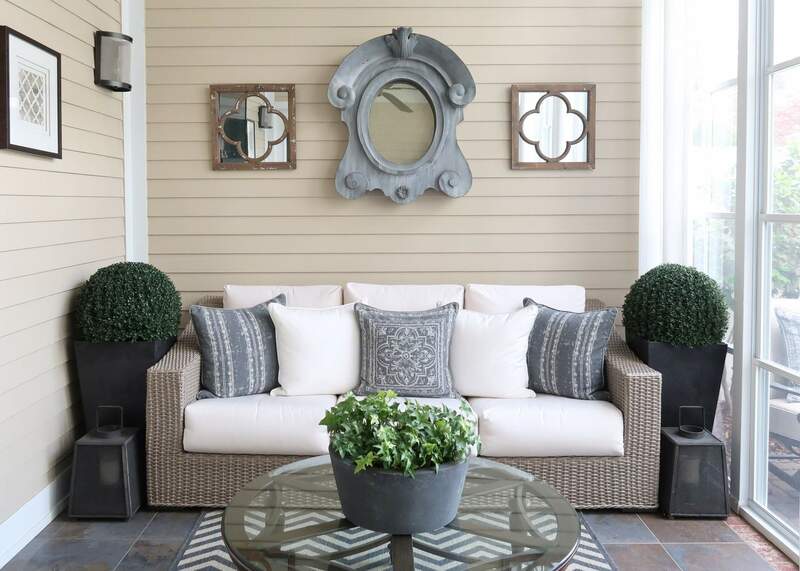 Here are 5 inexpensive ways to decorate and refresh your outdoor living spaces for summer! 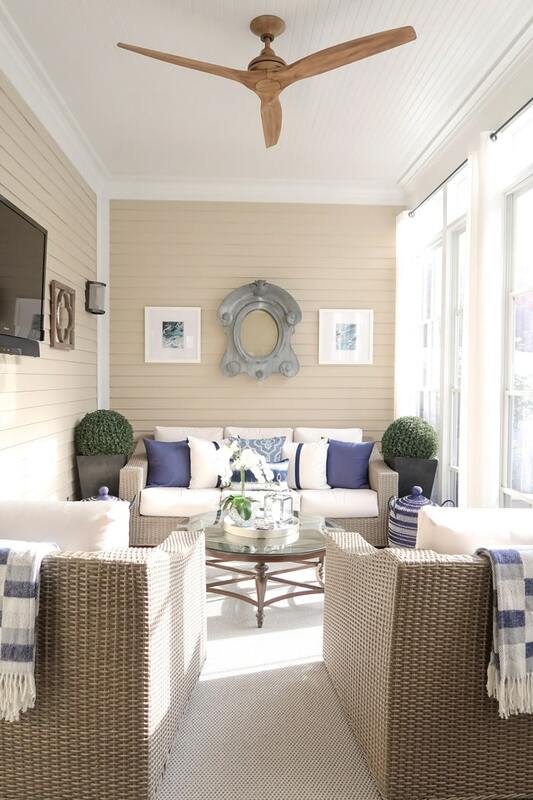 Since my website is called Porch Daydreamer, I kind of have a thing for porches and patios. 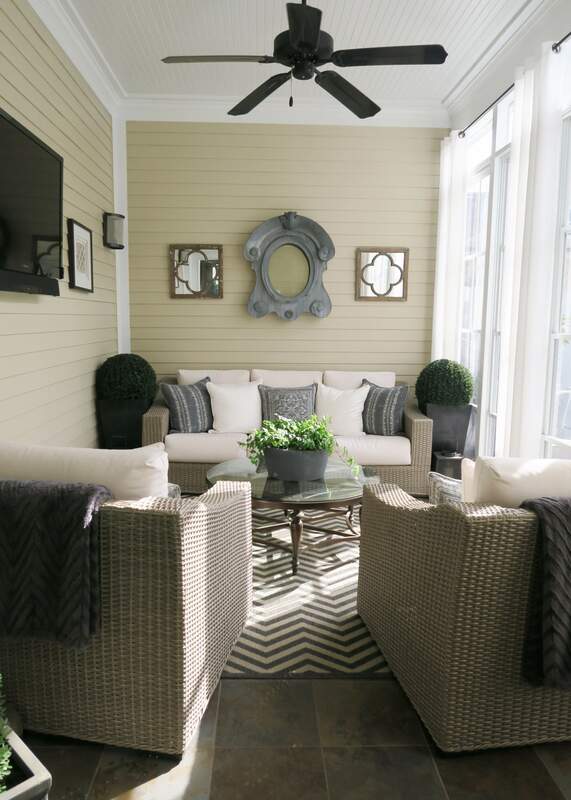 Outdoor living spaces are some of my favorite areas to decorate in a home. Each spring I like to change just a few things and re-decorate my porches, but don’t want to spend a lot of money. After years of looking the same, my back screened porch is in need of a refresh. 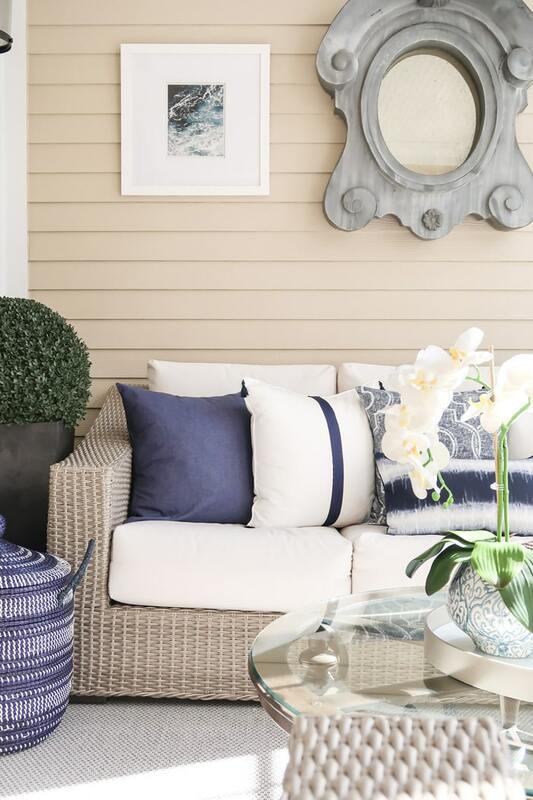 Here are 5 budget friendly ways to update your porch or patio! 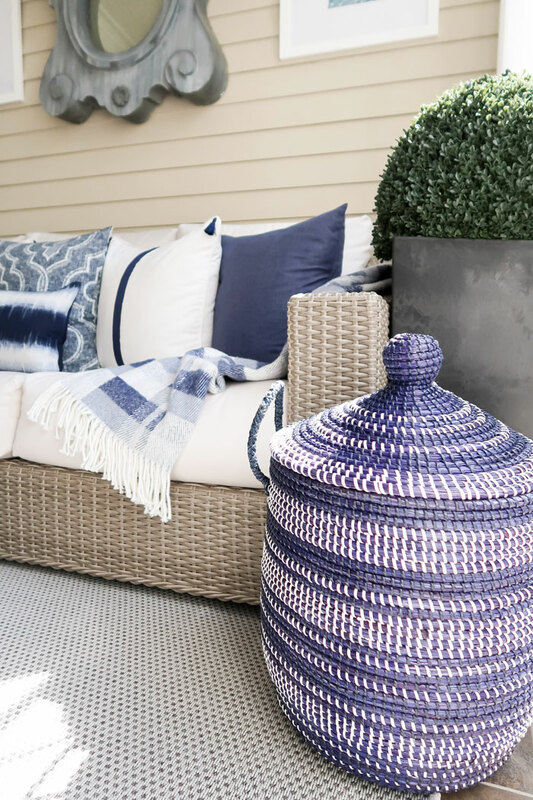 Color truly is the quickest way to change the look of any interior room, so why not apply that same concept to a porch or patio? Refreshing the paint color would have been a good option for me, but after all of my recent painting projects I wanted a quick and easy labor free update! So instead, I’ll be updating the color with new accessories. Let’s look at what my back porch looked like before the update. As a reminder, I installed the EZE-Breeze system which makes it an all-weather porch in the cooler months by adding a little heater. My home is in Charlotte, NC so it doesn’t get all that cold! The porch is outfitted with a TV too and it’s a great swing space for when the guys want to watch sports and the girls a movie. My screened porch used to be painted the same dark blue as the exterior of my home. Can you imagine how dark it felt? 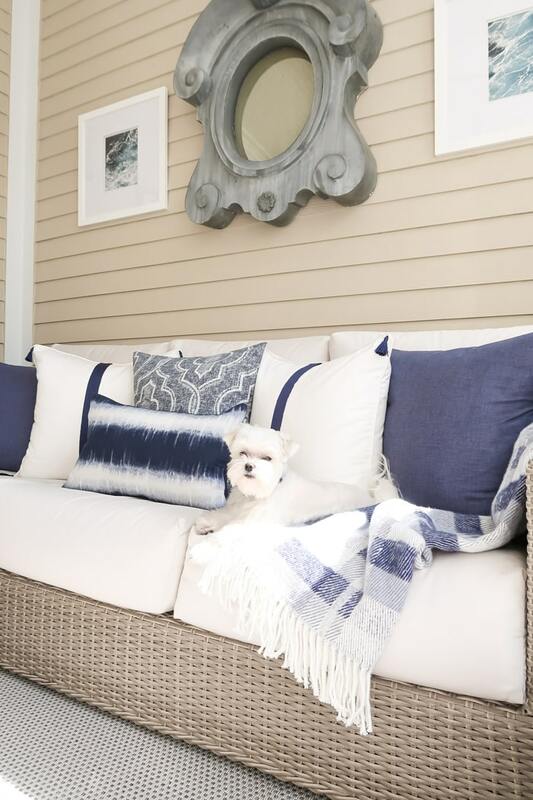 You can read all about Paint Your Porch a Different Color Than Your House – Really! to see what it looked like before this gray and sand makeover. 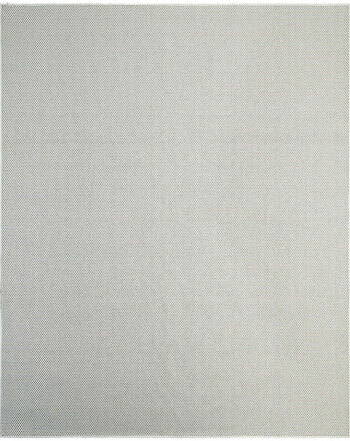 Unfortunately, I made the mistake of ordering too small of a rug for the space and have always wanted to upgrade to an 8 x 10 rug. Luckily, Mohawk Home approached me and wanted to help refresh my screened porch with a brand new rug! Honestly one of the best ways to start a room makeover is using a rug as the base point. Keeping the big items in place helps keep the budget low in this update. Luckily, all of these items provided a nice neutral backdrop to work from in my design plan. The coffee table is from Frontgate, but no longer available, here is a similar one. As far as the French zinc mirror, that was from Restoration Hardware and no longer available – sorry! 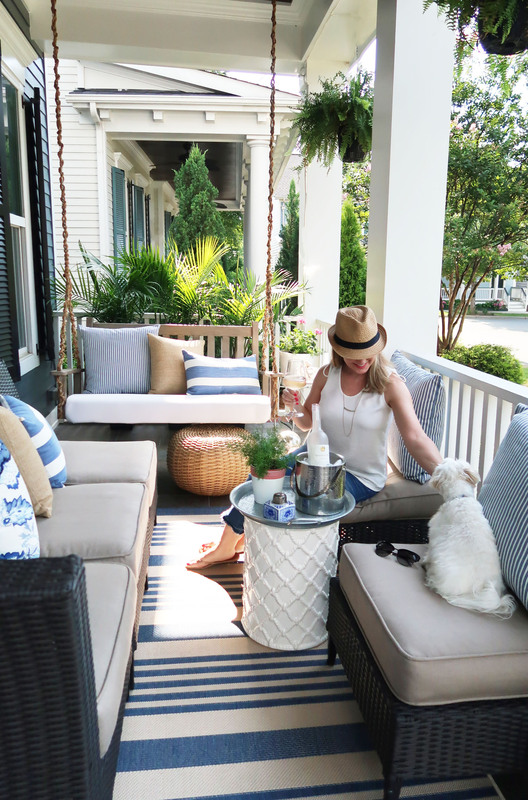 This past year I updated my front porch to incorporate a more coastal beachy feel. Blue and white were at the core of the design. I’ve loved the look so much I wanted to bring it through and into my back porch. 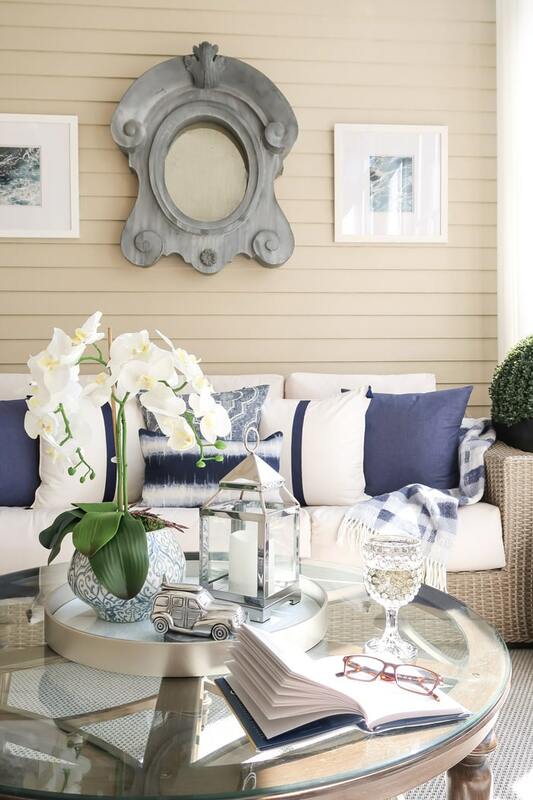 There is something so refreshing about blue and white! Seems easy right? Luckily, Mohawk Home let me choose a rug from their fantastic outdoor rug collection. I was instantly attracted to their Montuak Collection for it’s simple design and knew the silver color would be a perfect base to lighten up the look of the room. Then I found these amazing blue and white baskets (that I could afford) from Serena & Lily! Between the rug and the baskets, I had the two focal points to build from for the screened porch update. Since I already had pillow inserts and white Sunbrella pillows, all I needed to purchase were pillow covers. Pillow covers keep the cost WAY down. Etsy has the most amazing options available and since this is a protected outdoor space I was able to use indoor pillows. In order to update the artwork really inexpensively, I decided to order photographs of waves for that coastal feel and frame them in white myself. These images remind me of the water and waves my son and I saw in Sydney, Australia for a sentimental touch! Next are the accessories. Trays are the BEST option for displaying items and anchoring a space. This one has a nice faux marble insert. The previous look was too plain, with ivy in a pot. Plus it kept dying, so I decided to make a faux orchid arrangement that would never dye. Beautiful planters are always great to have on hand and this two piece set was a steal (they are currently sold out, so sign up for the alerts). Nothing is better than polished silver lanterns and candlelight in the evening, so I chose a small option for the coffee table. For a glow every evening, I use battery powered candles that turn on automatically. Plus they are no melt and safe for outdoor use! Then I found these beautiful and inexpensive throws for chilly nights on the porch. They are super soft and pull together all of the blues and whites. After finding all of these beautiful pieces and seeing how pretty the porch was going to be, I realized the fan was looking old and tired. I reached out to some friends at Fanimation and they were kind enough to provide the Spitfire Fan in Driftwood for my makeover! They have so many COOL fan options that look like real wood and are statement pieces. You can mix and match bases and blades, for a truly customized look. With a remote control for speed, they look streamlined without the pull chain hanging. Just beautiful! Want to see how it all came together? I LOVE the new look! Little did I know that changing the rug was going to change EVERYTHING! The Silver Mohawk Home Montauk rug was the perfect choice. 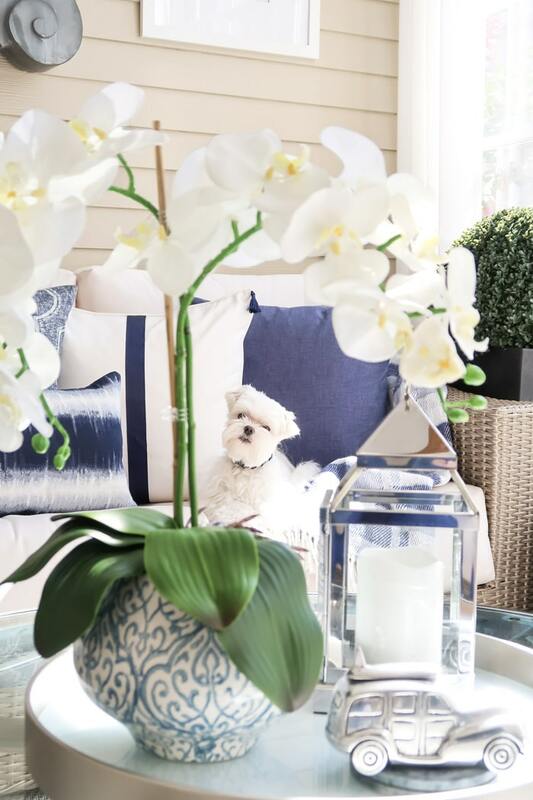 Mick the Maltese is a fan of the new white and navy color scheme. He loves laying out here in the sun on the sofa. How about that fan? It’s one of the best looking fans I’ve ever seen! It is whisper quiet and cools the room quickly. Did you notice I reused the quatrefoil mirrors? I just relocated them to the TV wall and now they reflect the outdoors! Having a lighter look on the floor brightened up the entire room, so it pops. Even when it’s a cloudy day the porch looks brighter. For everyday, I’ll leave the throws on the backs of the chairs to bring the blues to the large woven chairs. Then whenever someone feels a little chilly, they can grab one easily or I’ll lay one down for Mick to snuggle up to. 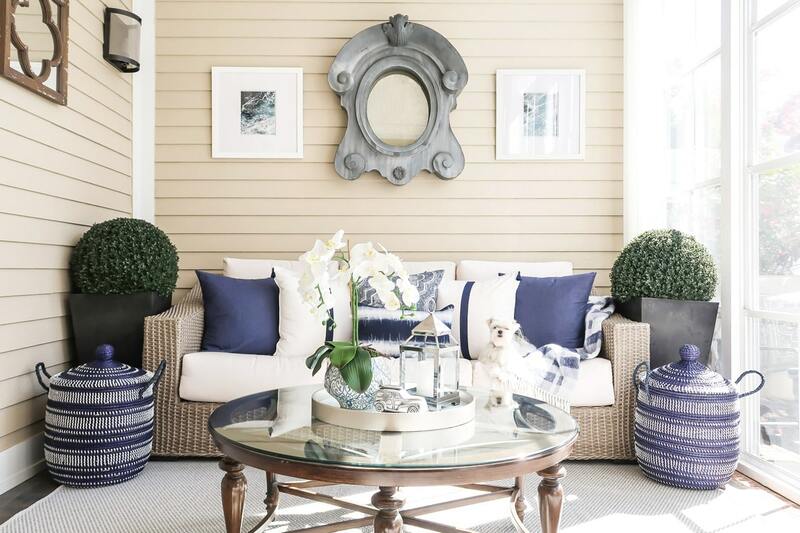 The Montauk Rug pulls together the whites and driftwood hues and is a perfect complement to the blues. Isn’t the weave so pretty! The new accessories and tray add more color and visual interest in the center of the room that frames Mick’s face perfectly. At a local shop, I found that cute station wagon with the surf board to tie the whole coastal theme together. Waves for days! Can’t you hear them rolling into the shore? The printed deep blue ocean photography adds a calm feel very inexpensively. Sorry, the Ikat pillow I had custom made for a different room and is no longer available. Always “shop” from other areas in your home, if you need a little extra something. 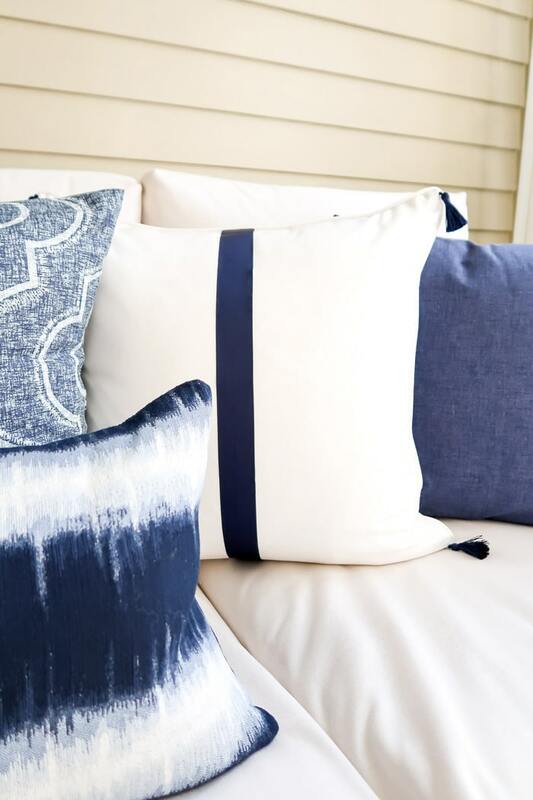 Then I love the deep chambray denim solid pillows mixed with the Moroccan motif pillows. 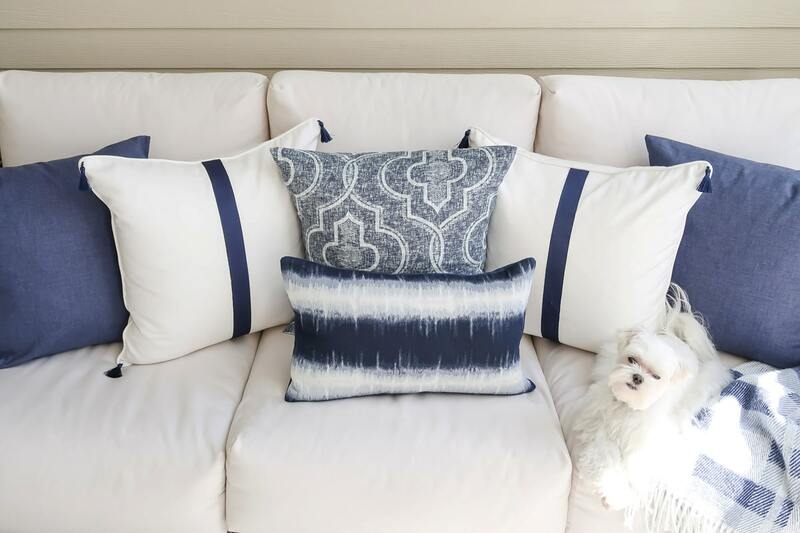 These are the SAME white pillows, but after ironing on some navy ribbon and pulling through tassels on the corners they have a whole new look! Again, reuse what you have and inexpensively update it to fit the new color and decor. 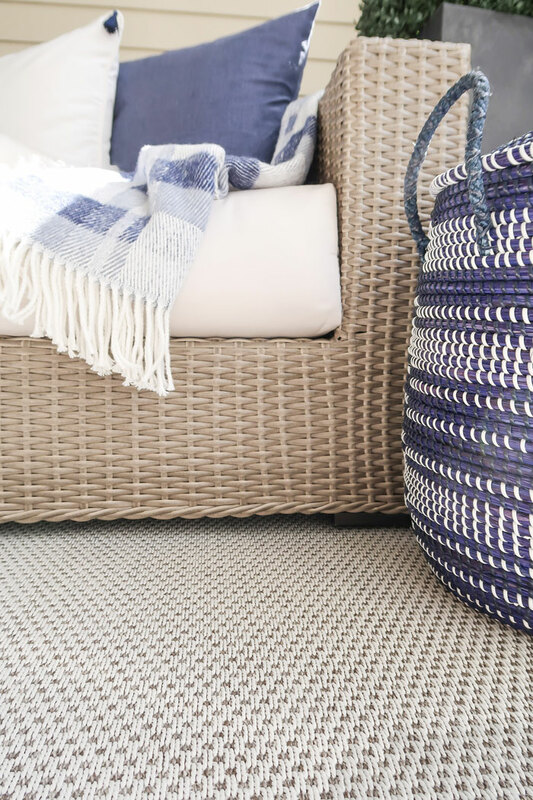 The new navy baskets add a new texture and reinforce the blue and white look I was craving. Plus they are great for storing extra blankets, magazines, and even the remote controls! The baskets are more interesting than the dark black lanterns previously in place, which ended up blending into the background. Now the boxwood topiaries pop and make a major statement against the blue baskets. Always remember that mixing different surface textures will make a room much more interesting. It gives the eye something to study. Woven textures, glass, mirror, patterns, all against a neutral backdrop accented by black make your eye travel the room. I LOVE the new orchid in the blue and white planter. The good news? The orchid is faux and will never die like the boxwood topiaries. If you would like to learn how to make a faux orchid arrangement, click here. The planter is so much more beautiful in person than online and I can’t wait to use the larger size in another room. I’m thinking a new planter would look pretty in my navy and white office! 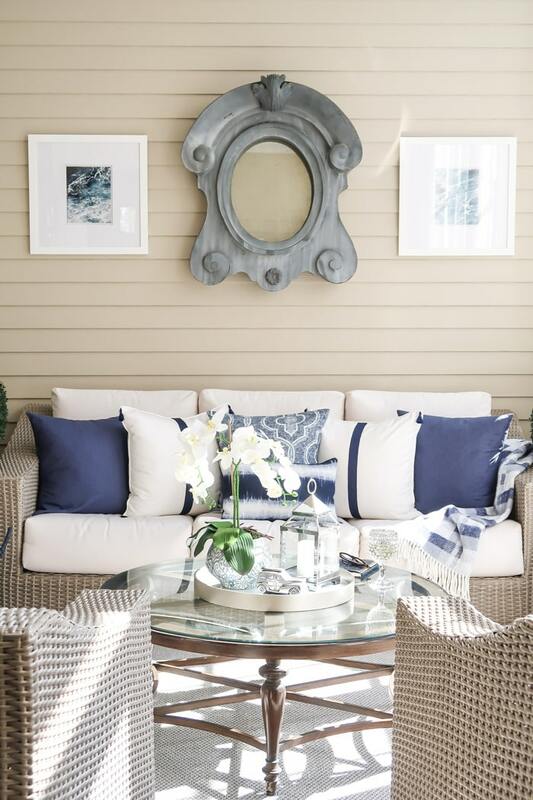 The perfect spot to sip a cold beverage and read a good book! Or entertain those I love, with the screens open on a cool night snuggled up in the soft and cozy new throws. Thanks to Mohawk Home for inspiring me to makeover my screened porch by providing a new Montuak silver rug! 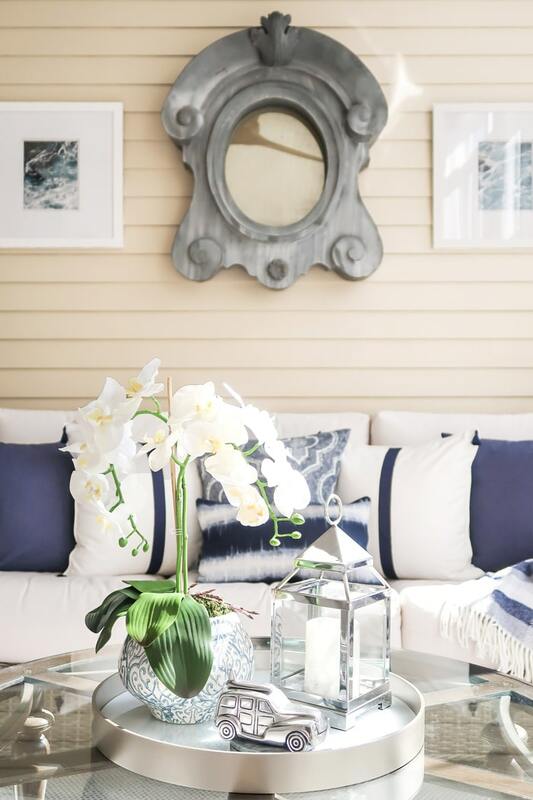 I hope I’ve shown you that just a few inexpensive updates and a pop of color can change the entire look of a room – inside or outside. Remember to mix patterns and textures to up the visual interest in any room. 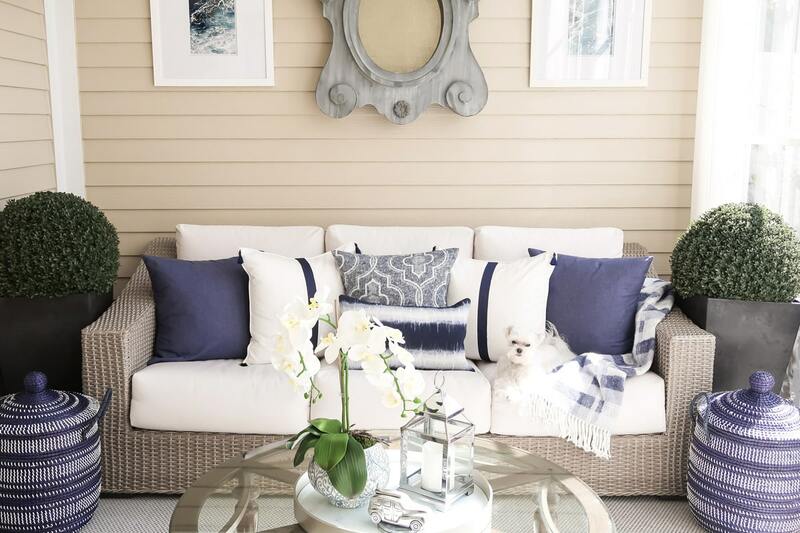 Plus all of the soft elements mixed with the woven textures make a room feel very cozy! 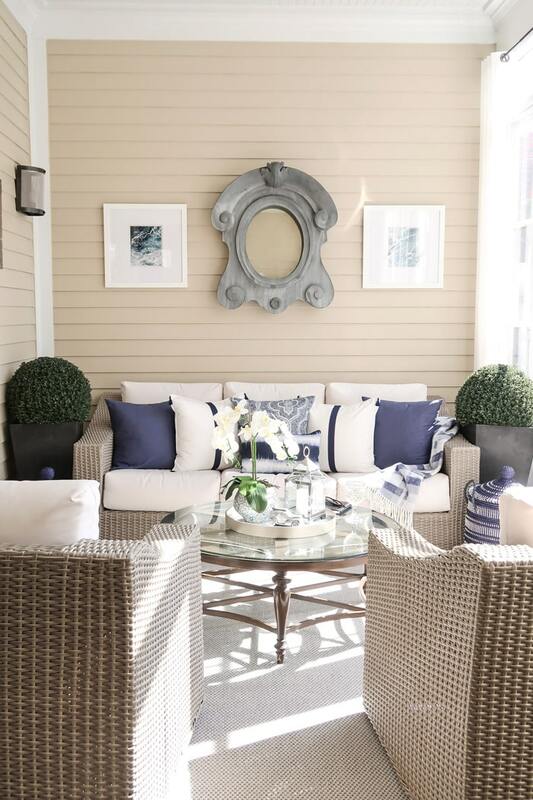 This is outdoor living at it’s finest and I am proud to be a “Porch Daydreamer”. Please consider signing up for my weekly email newsletter, so you never miss a tip, trick, or post.